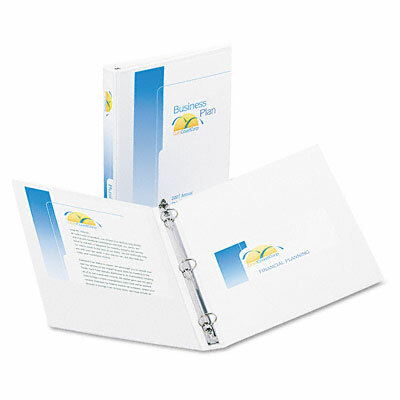 Customize the front cover, back cover and spine of your presentation when you choose this binder with crystal-clear overlays. Customize the front cover, back cover and spine of your presentation when you choose this binder with crystal-clear overlays. Metal, nonlocking round rings hold pages securely. Two inside pockets for additional storage of loose documents. Spine label included.